The charming Kerala isn’t called ‘God’s own country’ for nothing. This popular tourist destination is known for its serene beaches, magical backwaters and canals. It’s time to tick off another surreal vacation destination by planning a trip to Kerala with our Kerala tour package. While every place is a traveller’s delight, explore some less known destinations in Kerala which remain unspoiled by tourists. And while you are at it, we have made a list of stays that are off the beaten path that every traveller must include in their Kerala tour package. Be ready to be transported to nature’s wonderland as all these offbeat stays will enhance your perfect Kerala tour. We are aware that you are looking to get out of your robotic life in concrete cities. This place offers the perfect retreat where you can live amidst the sensation of nature without having to compromise on luxury. Situated in the middle of a bamboo clearing, these cottages have private porches where you can unwind. This eco-friendly stay in your Kerala tour packageis surrounded with natural ponds and offers a variety of activities. You can try farming with the farmers, go trekking or simply savour the local delicacies. The highlight of your Kerala tour packagehas to be this stay on an island which will take you back to the good old Malabar days. Canoe your way to get to the island where you can experience living like never before with spacious and waterfront dwelling. You cannot miss out on the Malabar cuisine, enjoying the spicy coconut flavours in the open dining space. This offbeat stay on your Kerala vacation offers Ayurveda treatment and yoga. Spend some time with yourself as you indulge in soul searching whilst staring at the starry sky. Kerala tour is all about getting close to nature and this offbeat resort in Kattappana is nestled in the lap of Cardamom Hills in Thekkady. Enjoy the soft gushing of river as exotic birds chirp in the distance. The traditionally styled rooms offer luxury and comfort amidst cardamom plantations. Buy the local spices and also try your hand at culinary lessons with the chef. Enjoy trekking through the property as you venture out to experience nature at its best. The naturally rich Wayanad is a must visit destination on your Kerala tour package. Experience this offbeat stay in Kerala by living in the middle of the forest in the wooden cottages and luxurious suites situated in the midst of coffee plantations. The interiors are done luxuriously as you live an adventure by gazing across paddy fields and misty hills. To add more exhilaration to your Kerala trip, visit the wildlife sanctuaries like Kabini, Nagarhole and Muthanga which are closely located. An exclusive Kerala tour packageis incomplete without a stay in a houseboat. This deluxe houseboat stay through the picturesque backwaters of Vembanad lined with coconut groves is a captivating experience that one must not miss on their Kerala tour. Relax on the deck as the cool breeze caresses you while unwinding at this comfortable and luxurious stay. Indulge in some fishing at this tropical paradise which is blessed with natural beauty. Enjoy the lip smacking delicacies on your relaxing trip to Kerala. Ideal for honeymoon or a romantic getaway, staying in this fancy and beautiful houseboat in Alleppeyis a treat you should not miss. An enthralling stay in a canoe in the backwaters will be a fascinating adventure on your Kerala tour package. The floating cottages flowing through inland canals provide for a dreamy vacation which is soothing. Wanderlusts and solo travellers can venture staying in the tents surrounded by tress and groves. Spend some alone time by reading a book under a tree or barbeque for your family. Your stay by the riverside will prove to be a relaxing break amidst the serenity of water and lushness of the forest. Overlooking pristine backwaters, faraway hills and enchanting woods along with Ayurveda treatment and Malabar delicacies paint a perfect vacation. 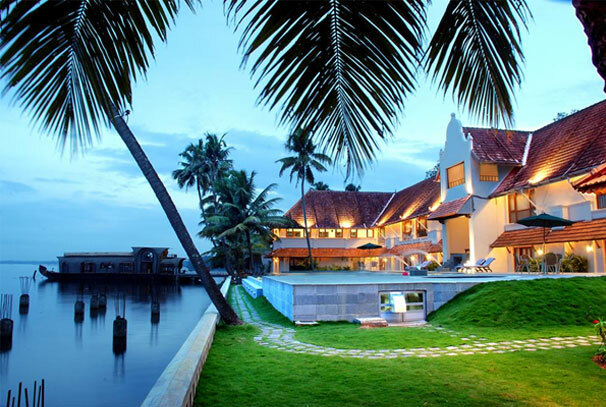 Your Kerala tour packagecannot get better with these dreamy offbeat stay options in Kerala. With the quaint wonder of Kerala, your close interaction with nature will make way for some soul cleansing and relaxing.